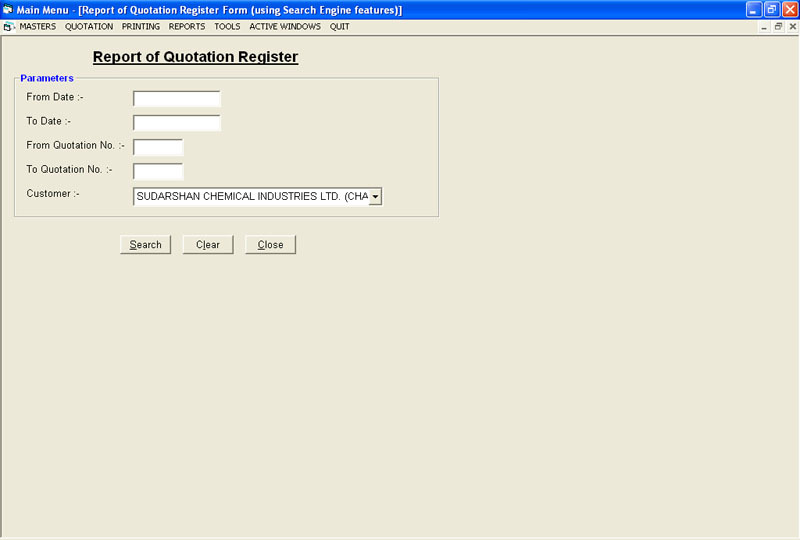 The Price Quotation software from Softeasy is the small software used to make the Quotation.The Quotation Document Software is easy to use and it ismulti user.The Quotation Invoice Software is multi user and readymade software.It can be customized as per the customer requirements. 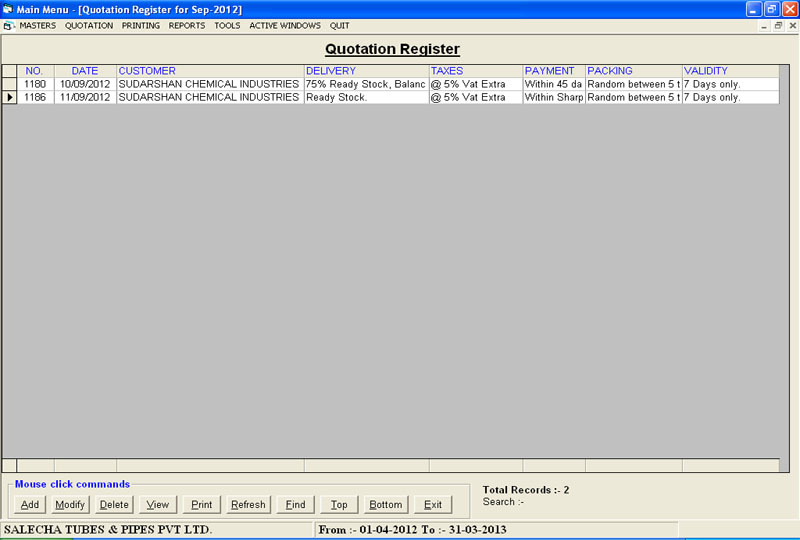 The Sales Quotation software takes the control over the quotation which has its own template starting from the master of data entry of items, sizes and customers. 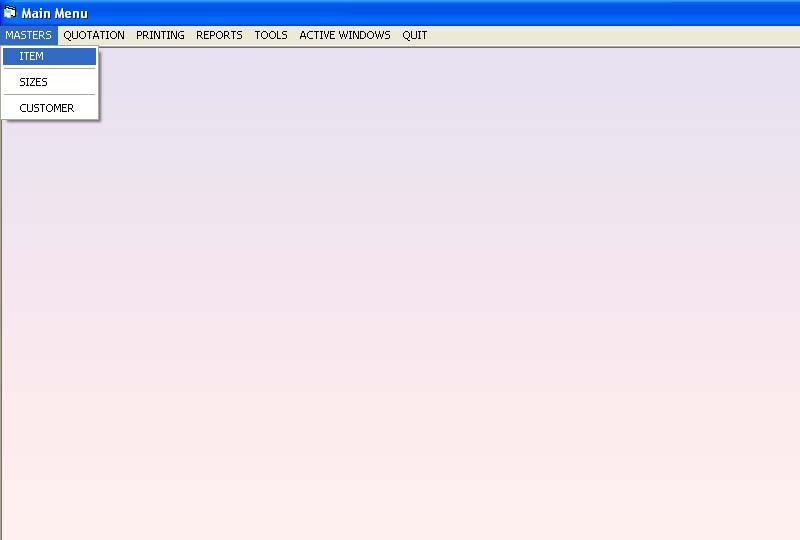 Once the master is created in the software it automatically gets add up in its system software data base so one need not to create the master again of the same name. 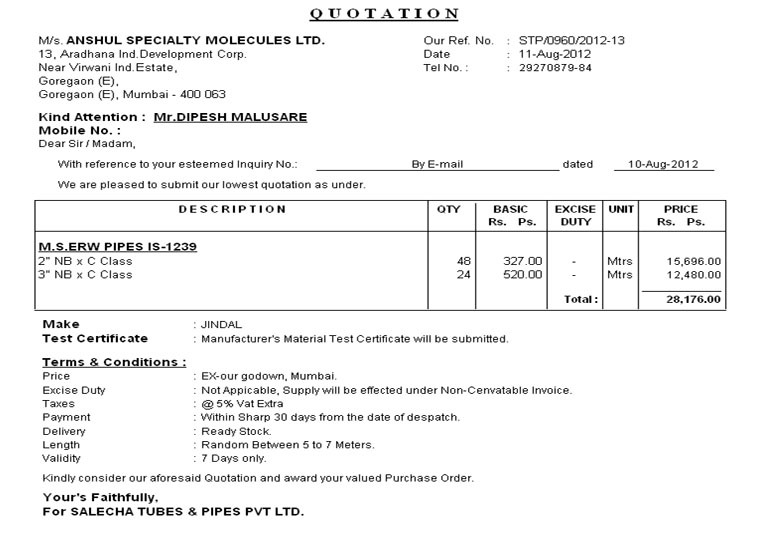 In the Quotation one has to fill up the form viz Name, Item Name, sizes, amount, delivery and taxes.Afterwards one has to take the print out of that quotation and has to submit to its clients. 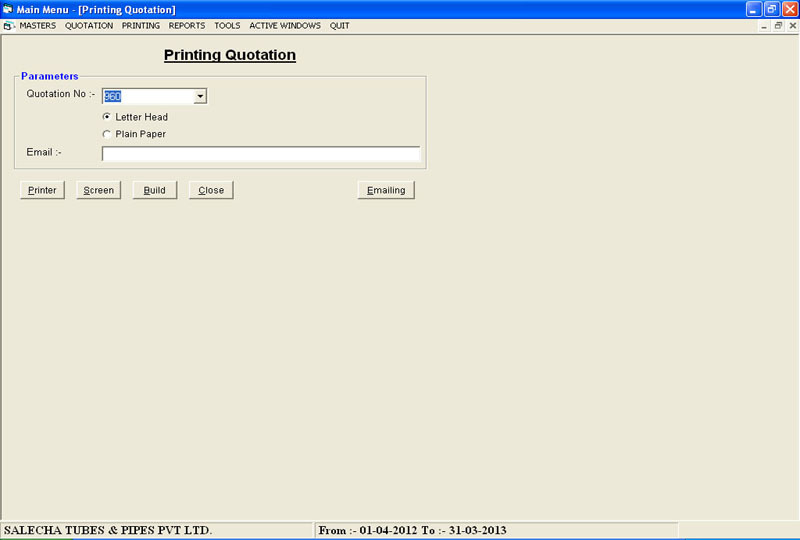 This is an automatic software which rules out the old excel style of preparing the documents.This software works on your finger tips which gives a detailed and customised reports in the range of amount period and party wise. 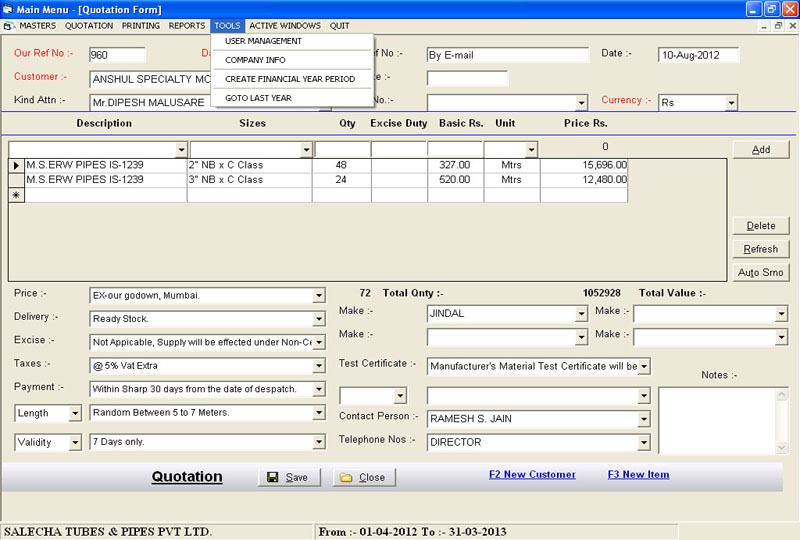 This software can also be extended in to Tax Invoice and this software can also have its precedent of Delivery challans Sales Order etc. 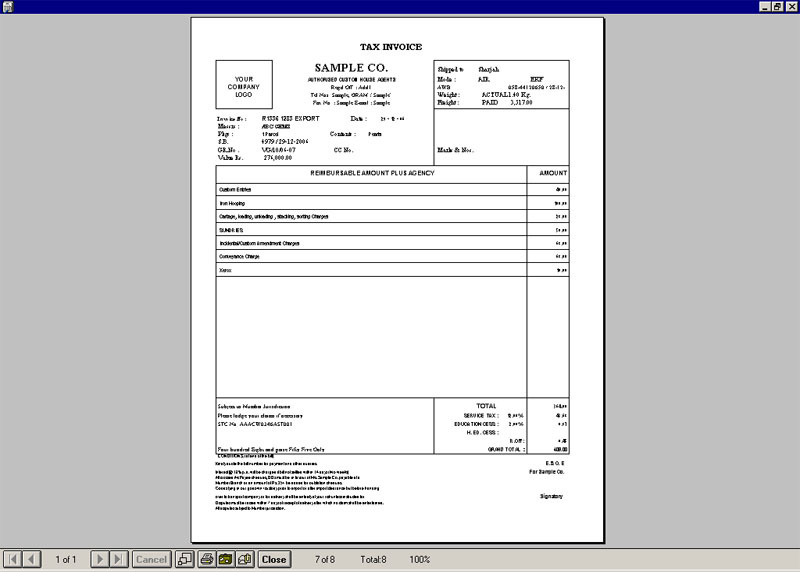 and need to go furthermore for the regular accounting software. Main Menu Masters Highlighted Screen.